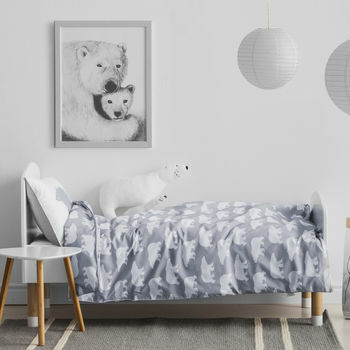 A cute Polar Bear bedding set featuring a large polar bear on the pillowcase (reversible) and smaller polar bears on the duvet cover. Which way to the North Pole? Ursus and his friends came to visit and need help finding the way back. 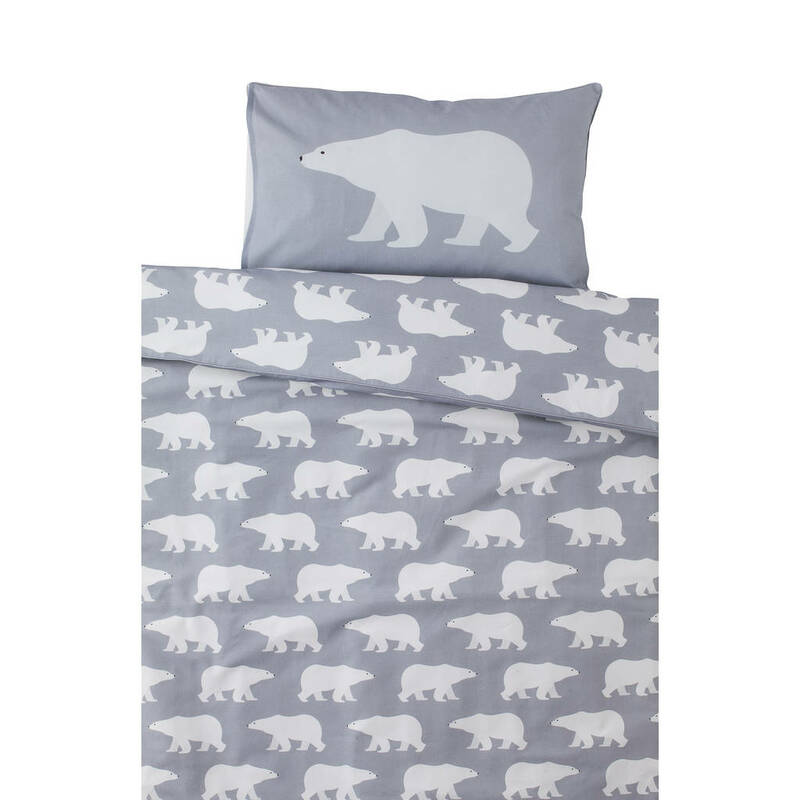 This lovely bedding will put a smile on every child's face. Light grey/silver piping adds a lovely touch. 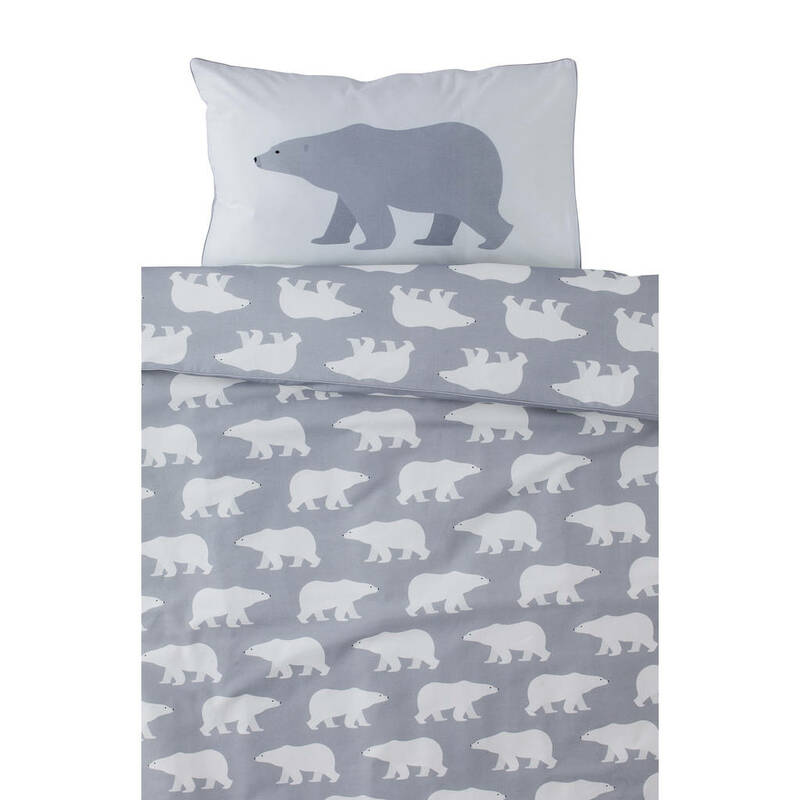 Our bedding is made from 100% cotton (excluding the piping), providing naturally breathable covers. 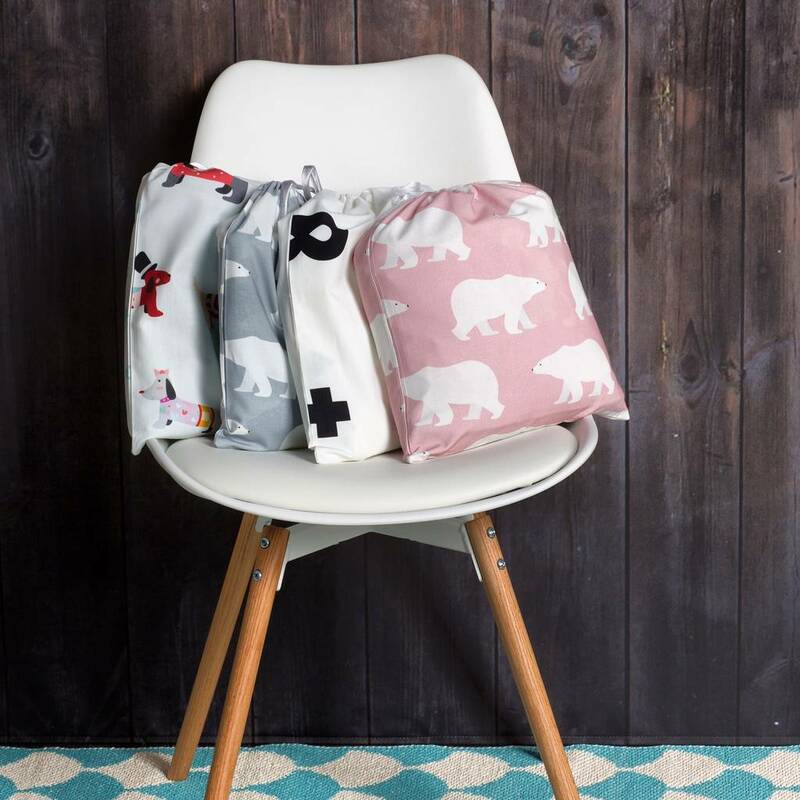 We also use OEKO-TEX Standard printing method, making our bedding safe for children. 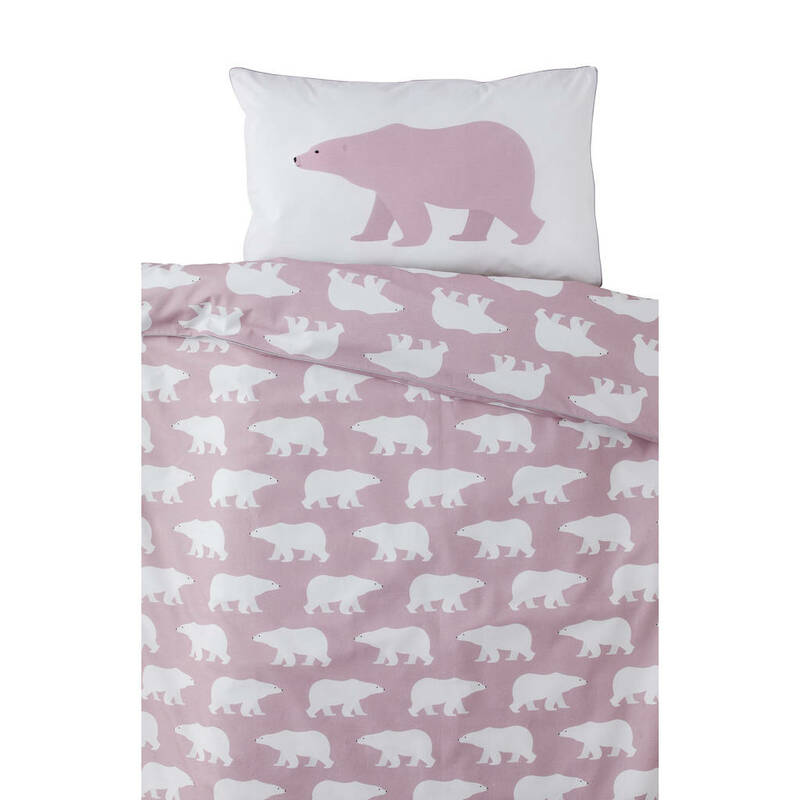 Fastening: pillowcase - envelope, duvet cover - zip. This bedding set is available in Cot Bed and Single size. 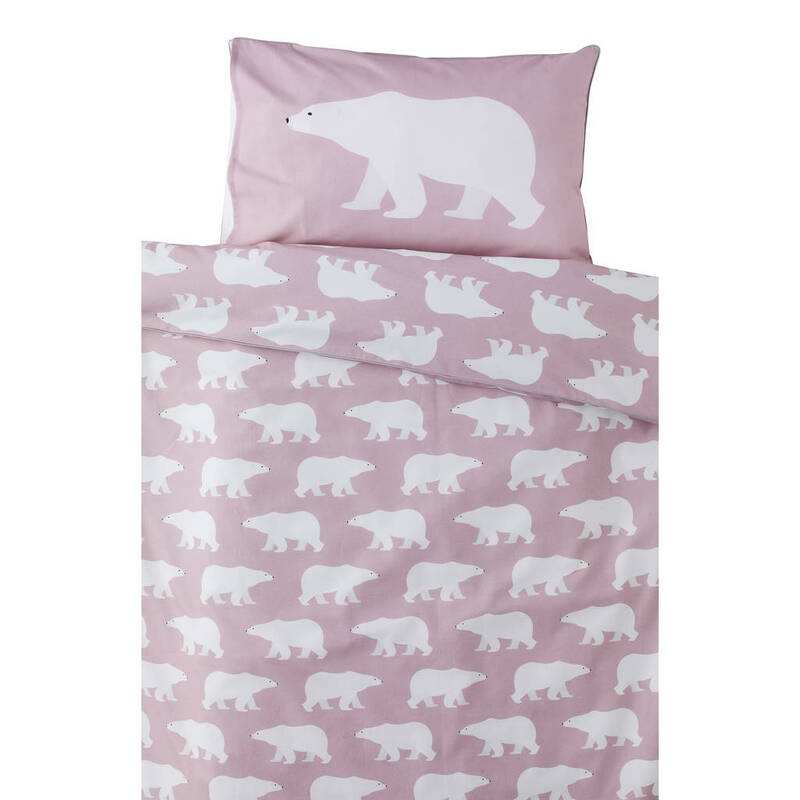 You can choose this bedding to be packed in a matching cotton bag which kids can use as a pyjama bag too. 100% cotton (excluding the piping). Machine washable at 40 degrees although we always recommend 30 degrees. Can be ironed at medium heat. Tumble dry is not advised. This product is dispatched to you by ta-da!.